“Making Map”, a title borrowed from a work in progress by photographer Haruna Kawanishi, describes the contemporary human who is trying to realize where he stands at a given moment in time, making the map from scratch. 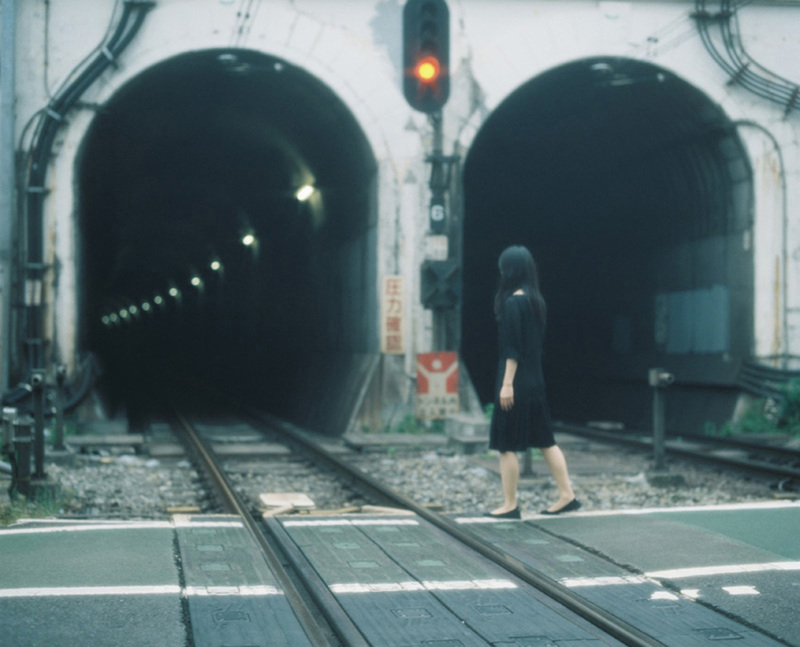 Using the element of narration, which results from her work in cinema, Kawanishi presents her work in stories, which do not have a predetermined end. In her photos humans are presented in an environment, urban or rural, seeking their place. As curator Naoko Ohta underlines, the main characters do not have a defined contour but blend in the light and darkness never revealing their identity. They pursue the next stage of their route without revealing from the information provided from the work itself where their next destination is. Therefore, the viewer gets trapped into a situation where he only has to use his imagination for the outcome of the story. The approach follows the Japanese tradition where the form is simplified eliminating any unnecessary motion. The symbolic representations allow various interpretations. Kawanishi, with a creative way reminds us that there is no absolute interpretation of a story, since everything depends on one’s personal point of view. Humanity is not evolving towards perfection, but it coexists with all its differences, she underlines. Making map expresses all the possible versions and choices of a story and how each person chooses at the end to create his personal map. The same way that a map is never “completed”, thus it continuous to change and evolve. Born in 1979 in Tokyo Haruna Kawanishi graduated from Nihon University College of Art in 2002. The same year she produced and played the first role in the film “While you sleep” which was projected among others at the 59th Venice international film festival. Since 2005 she got in photography. In 2008 she participated in the Vendome Photography Festival and was granted an Honorable mention for her work for three consecutive years (2009-2011) by the International Photography Awards in Los Angeles. She has exhibited in New York, France, Norway, Japan etc. In 2010 she was elected among the 10 most upcoming artists of Japan from the Japanese photographic magazine PHaTPHOTO. She currently resides and works in Tokyo Japan. It is the first time she exhibits in Greece.